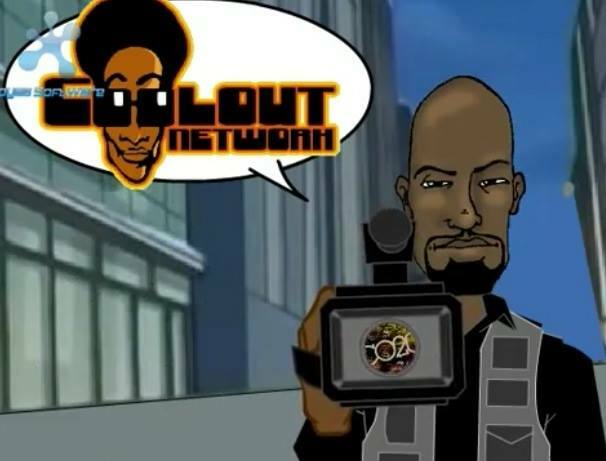 For 20 years Georgio Brown’s “Coolout Network” has introduced us to hot new talent; and since 1991 the show has kept fresh and evolving. From the early days of “Club Coolout” to its move to webisode format in 2007, Georgio has proven to be a man on with his finger on the pulse of the City. For those of us around in the early 90’s, we remember the hot local video & dance show shot on location at clubs like the Rock Candy and DV8, and community center’s such as the Langston Hughes Cultural Arts Center. “Club Coolout” featured kids dancing in a “Soul Train” setting interspersed with videos from local artists. 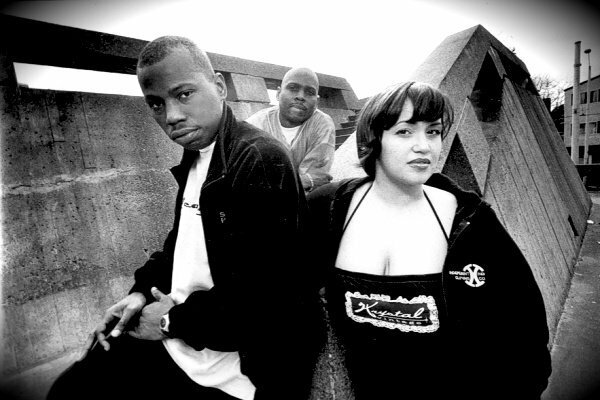 The weekly broadcast allowed viewers to get to know local musicians such as Kid Sensation, Specs, Incredicrew, D’Armageddon, Edawg, and a number of others; as well as hip hop dancers such as Sam Dumas and PPIA. Georgio first caught the video production bug when he was in high school (back in 1980’s New York), where he would film local rappers and B-Boys. This took off for him as he saw how much people enjoyed and were inspired by the shorts he created. In 1991 Georgio found his way to Seattle, Washington and the rest is history. In April of that year Georgio began producing a series of videos focusing on Seattle’s Hip Hop scene. These shorts turned into the “Coolout Network” which began airing on Seattle Public Access television stations. The program has not only been a doorway to success for dancers and musicians, but also for those artist’s trying to break into radio and television broadcasting such as B-Mello and Sacha Starr. Georgio has worked with Non-Profit performance arts programs and arts education programs and is often used for community awareness. In the summer of 2004, Georgio Brown and Coolout Network were honored by the City of Seattle, receiving the Mayor’s Award for Excellence in Hip Hop for his dedication to create a positive contribution to the community. 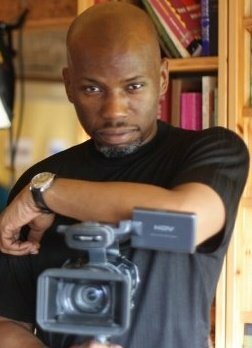 In 2009 Georgio won local film-maker of the year at the Langston Hughes African American Film Festival with a short he shot and produced about the 206 Zulu Nation. Georgio credits this film with lighting a fire in him to tell more stories about NW hip hop. And now that Georgio has announced his 5 year hiatus from Coolout, he plans on immediately jumping into his next project; a collaboration between himself and Scott Macklin, along with NW hip hop historian Mike Clark with will culminate in a full length feature documentary about the Evolution of Hip Hop in the Northwest. Today Coolout TV can be seen on the following sites: youtube.com/coolouttv, vimeo.com/georgiobrown, facebook.com/georgiobrown. “There are a lot of talented people in the Northwest that need and deserve attention and Coolout is the platform that can help them get the exposure and inspiration they need” – Georgio Brown. Influenced by an era of seasoned vocalists Mycle Wastman has developed the vocal capability and styling comparative to soul/pop greats Stevie Wonder and Prince. Mycle conducts his music in a timeless fashion with creative melodies and distinct storytelling lyrics while maintaining a commercial appeal by sustaining a pop sensibility. Mycle embodies a distinct soulful sound that aspires to the timeless soul classics rejuvenating music and its listeners to a new standard. Mycle’s debut solo album, “the Beautiful Stay”, features 12 original songs that glide from the funky and irresistible opening smash single “Found Wantin” to the poignant and moving title track “the Beautiful Stay”. The swinging “As long as I’m with You” brings to mind hints of early D’Angelo and the hauntingly lonely vocal performance and creeping B3 organ on “Never Love Again” could easily pass for a long lost Muscle Shoals recording session. Hailing as a Seattle native, Mycle started his vocal training by performing with the Seattle Boy’s Choir at the ripe age of five. As he entered his teenage years Mycle began his quest as a guitar player and songwriter. This quest escalated to an extensive catalog containing over one hundred songs and a production deal to record his highly anticipated debut solo album, released in March of 2008. With the release of the album came interests from major recording labels: Warner Brothers, Capitol, and Universal/Motown. Over the last year Mycle has been working side by side with some of the best songwriters in the industry with credits that include Faith Hill, Tim McGraw, Rascal Flatts, Rhianna, and Chris Brown to name a few. After an extensive song selection process 12 songs were compiled to form Mycle Wastman’s second studio album, “Hurry Down Sunshine”. The album is due to release on September 18th, 2011 with an incredible live performance to be held at the Hard Rock Café Seattle. 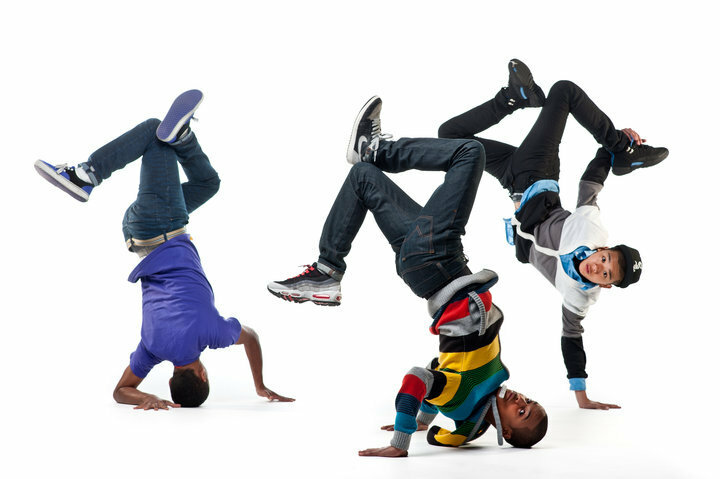 Vicious Puppies – Breakdance IS where its at! Following in the footsteps of their mentors, the world-famous Massive Monkees (seen on America’s Best Dance Crew), the Vicious Puppies Crew is a (West) Seattle based breakdance troop that is being recognized as one of the hottest breakdance groups in the Country, and maybe even the world. Last year the Vicious Puppies received rave reviews for their part in Paramount Theatre’s “Dance This!” Showcase. The group has drawn comparisons to last decade’s boy-band’s N’Sync and Backstreet boys in the way they generate intense fan frenzy’s at each of their performances. Manager and Vicious Puppy member “B-boy Blazii” says the future looks bright for the group who just shot a television commercial for a local roofing company- “We have shows lined up throughout the summer, we’re continuing to do commercial television work, and are teaching breakdance classes to up and coming B-boys and B-girls. The schedule is crazy busy but we love it!” He said. For booking, class schedule, sweatshirt orders, or fan club information email justinmlaw93@gmail.com. Also look for Vicious Puppies on YouTube! Trying to describe the passion of Delvon “Lamarr” Dumas using words alone is next to impossible. No words could give this self taught artist any justice. If you want to know or understand Delvon you need to watch him play; as some things just can’t be put into words. He was born August 28th 1978 in Seattle, Washington, and by the age of 4 his mothers & grandmother were so conscious of his musical talent that they bought him a drum set. Of course the set was quickly moved to the garage, as even the most talented 4-year olds drumming can be a little much after a while (Smile). With the support of his mother he began lessons with Brad Smith. Brad was so impressed with Delvon’s abilities after his first & only lesson he gave Delvon a trumpet. Even though Delvon has never had any real training, he found a way to learn on his own. Delvon plays by ear and can recreate just about anything that is thrown at him with near perfection. Remember that seen in “Good Will Hunting” where Will rattles off all sorts of information he’s picked up with his photographic memory? Yeah, that’s Delvon, except with Music. Delvon’s mind is consumed of music almost 24/7. So much so that the world around him can’t help but reflect his musical aura. Just hanging out with him and you feel like you are a part of the music he creates. It’s a fascinating process to watch him go from a beat in his head to a full composed masterpiece. His love for music goes way beyond just playing, as daily he is on YouTube looking up artist from the past to current for ideas or inspiration. His knowledge of past musicians date back as far as the 1900’s to current from the instruments they play to their life story. Throughout Delvon’s career he has managed to learn and play multiple instruments including the Drums, Trumpet, Sax, Trombone, and Piano. One of Delvon’s favorite moments in life was when he landed a gig playing drums with organist Joe Doris. It was at that point that he became obsessed with playing the Hammond B3. Delvon began listening to Larry Young and Jimmy Smith records, and as with all previous instruments he quickly began gaining notoriety on the music scene for his unique sound. Delvon has toured and performed around the world with great artist such as Sharon Jones & The Dap Kings, Lee Brothers, Juno What?, Budos Band, Karl Denson, ReBirth Brass Band, Dirty Dozen Brass Band, Spearhead, Garage Mahal, and New Master Sounds. Delvon has also participated in numerous projects such as: ADD Trio, Big Baron, Megatron, Robert Walters, Olympic Sound Collective, South Side Players and is currently playing with Vaughn Kreestoe and Lucky Brown & the Funk Revolution. Lucky Brown & the Funk Revolution is a 7pc old school funk group which their Lp’s, 45’s and CD’s can be found on the German record label Tramp Records. 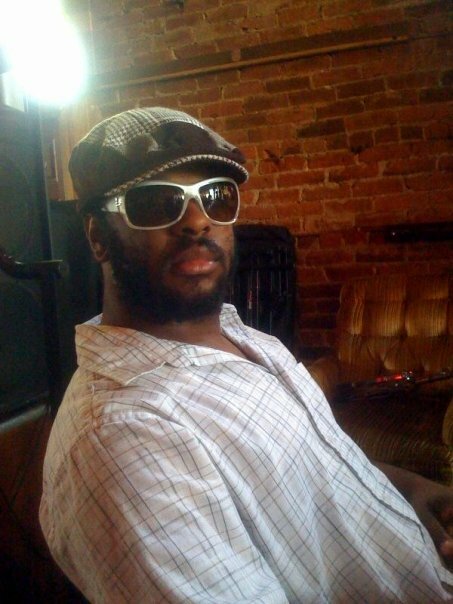 Vaughn Kreestoe is a power soul/funk/jazz Trio with the classic organ trio setup (organ, guitar & drums). In this project, Delvon writes most of the material as well as arranges covers from time to time. The Vaughn Kreestoe debut album is scheduled for release in October 2011 which will feature horns and Percussion from Karl Denson’s Tiny Universe & the Polyrhythmics. One of the busiest and hardest working musicians in Seattle, Delvon is happy to keep producing some of Seattle’s most soulful music. He’s gaining notoriety and he’s gaining it fast. He wants to travel the world, and I can guarantee he’ll have a chance soon enough, as Delvon will undoubtedly be world-famous within the next 5 years.